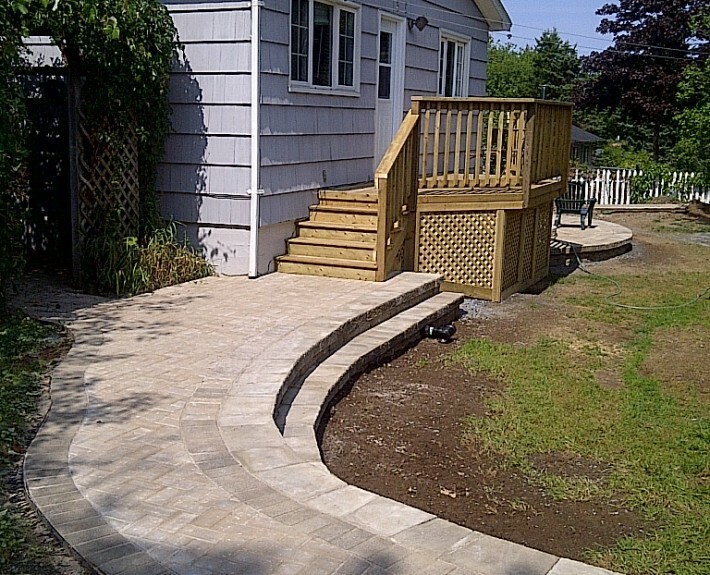 This is a return customer who had us update the back yard first with a new pressure treated deck complete with large paver patio, retaining wall and walkway. 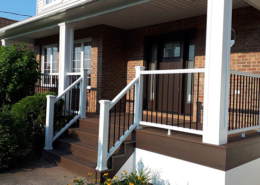 We then received the call that they were having a wedding that summer and wanted to update the front stairs and walkway before the big day came. 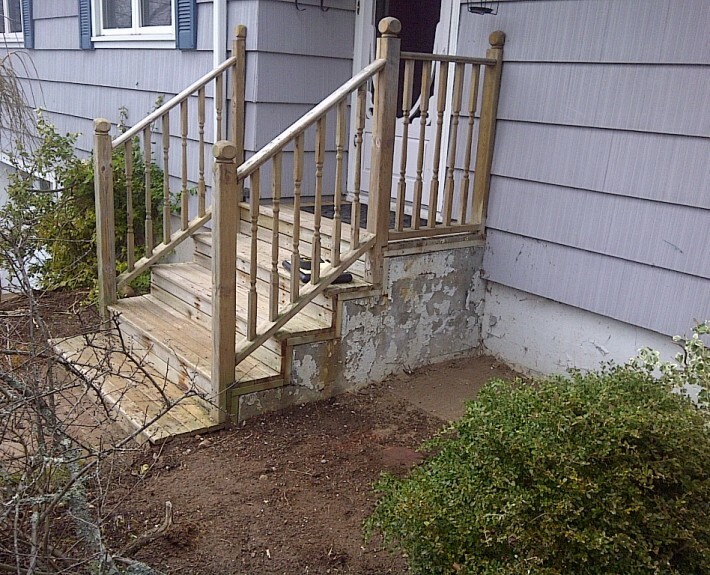 We were running on a tight time line but were able to pull everything together just in time for the guests to arrive. 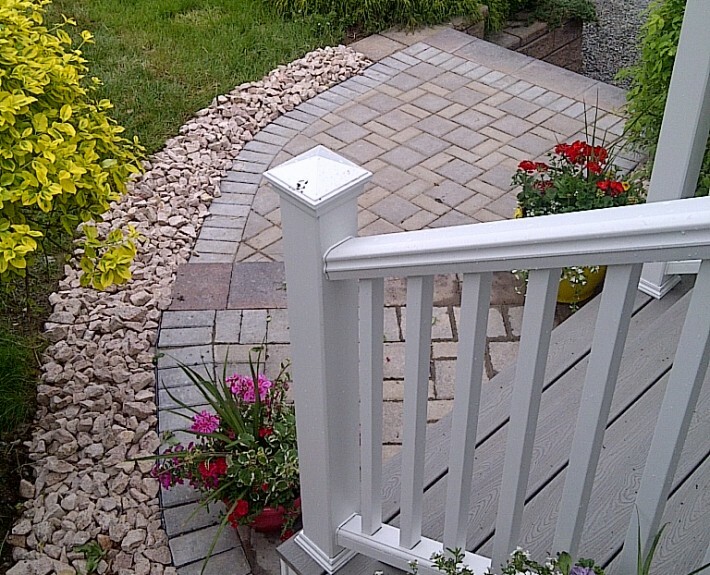 The end result was a beautiful new front deck and paver walkway that is no doubt a head turner every time you drive by! 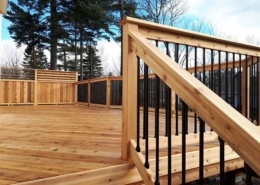 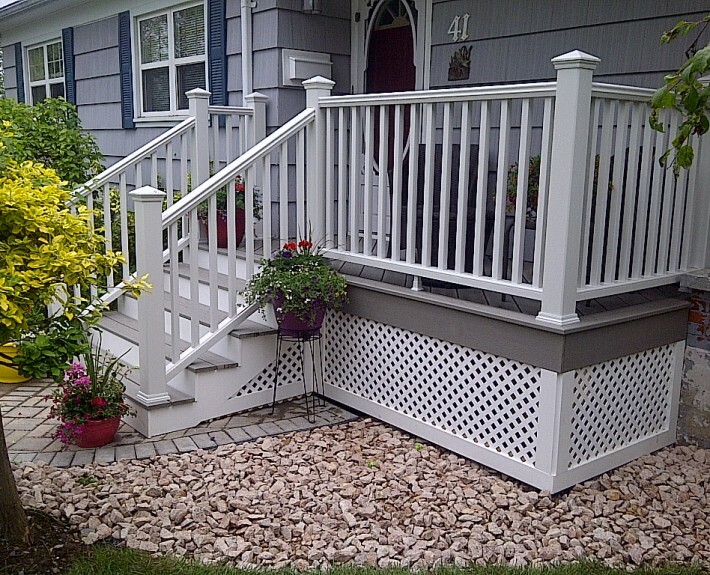 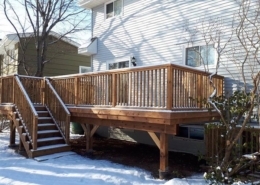 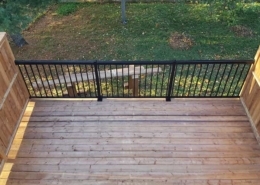 This project involved composite decking, a composite railing system, vinyl skirting and a paver walkway and stairs.